It is interesting to see how modern materials and techniques are used to rig a mast in this day and age. 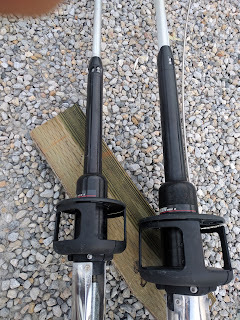 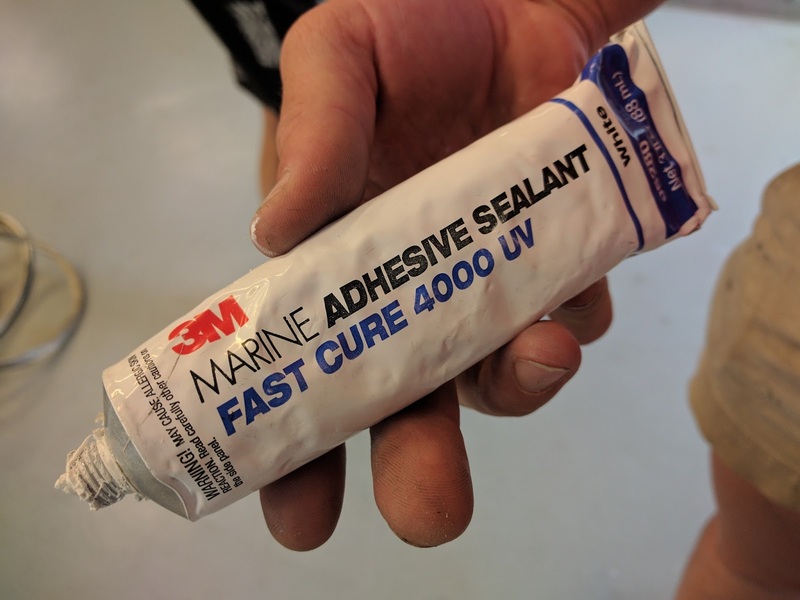 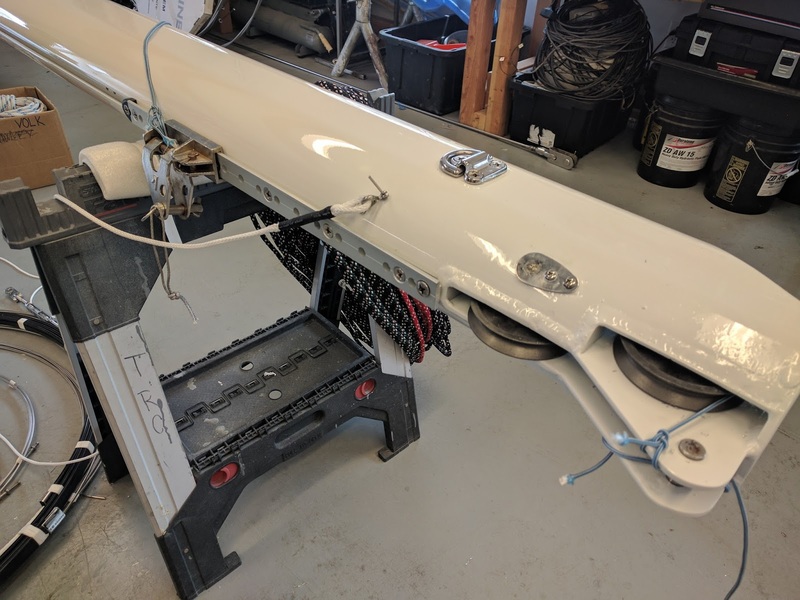 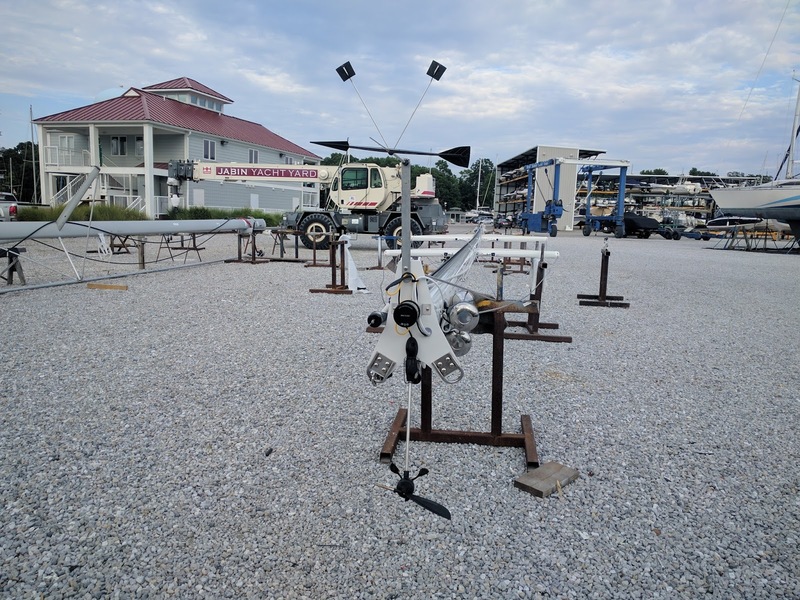 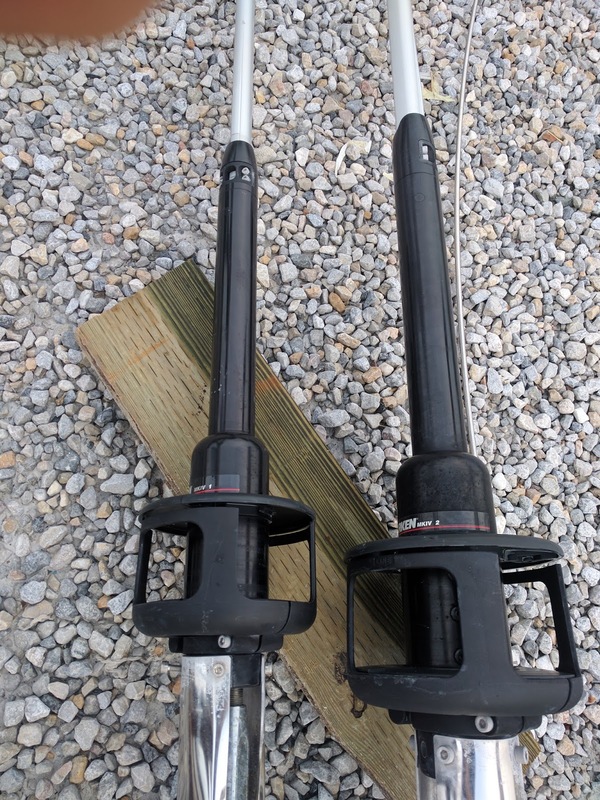 The old mast was stripped, sandblasted and painted with awlgrip by the rigging company based just down the road here at the Bert Jabin's Marina in Annapolis. You can see the tricolour light is LED and a Shakespeare whip VHF antenna and the anemometer that tells the wind direction and speed. 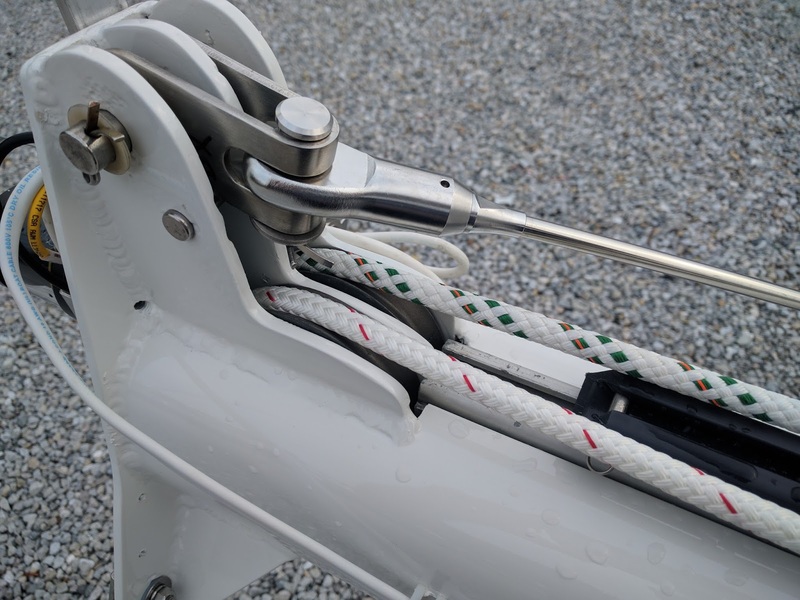 They are using rod rigging which according to Wikipedia tends to sometimes suddenly fail where it is bent at the spreaders or if the swages have not been carefully installed. 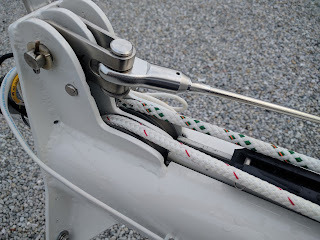 Wire is still being used for the forestay because a Harken furler is being installed. 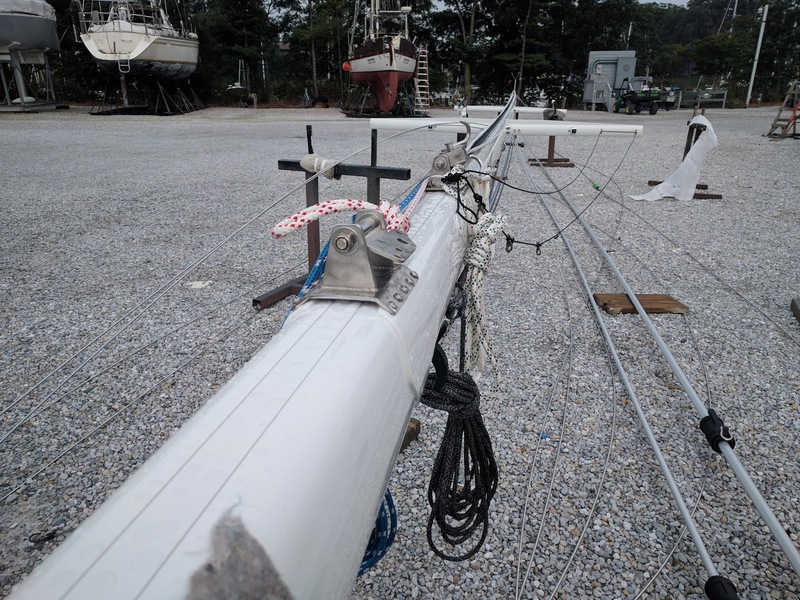 The boat is cutter rigged so the other furler is for the staysail. 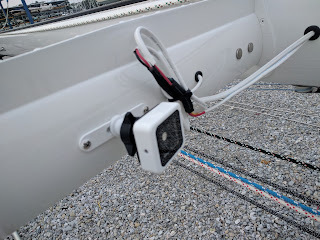 They are installing lazy Jack's on the boom and the preventers are attached to the stainless steel clip in the center of the photo. 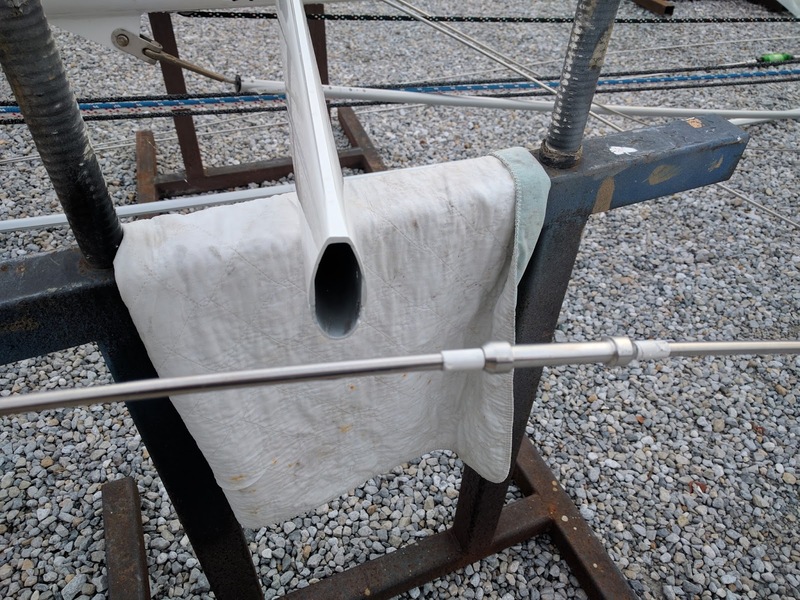 The 4200 is used to insulate the stainless steel from the aluminum boom and mast to stop corrosion between the different metals. 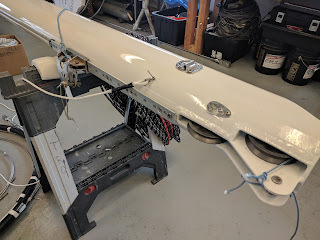 LED lights will illuminate the mast.